Migraines can have a serious effect on the lives of those who suffer from them. Migraines cause excruciating pain in the head cavity. They are caused by a variety of factors and simply treating the pain is not enough to prevent the occurrence of these migraines. Many natural product companies offer supplements which are designed to treat their underlying symptoms. 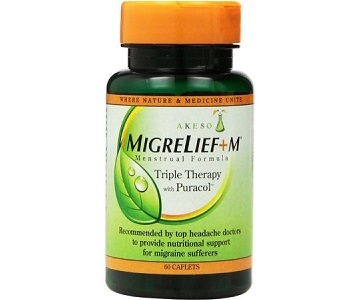 Akeso MigreLief+M Menstrual Formula is one of these supplements. In this review we look at the potential effectiveness of this supplement and determine its value for money. Akeso MigreLief+M Menstrual Formula Is mostly composed of vitamins and minerals which have been reported to play an important role in normal brain functioning. The vitamins and minerals included in this supplement are magnesium, chromium, vitamin B1 vitamin B2 and vitamin B6. Magnesium is important for the ion balance the brain cells rely on for their normal functioning. Chromium is important for promoting glucose uptake in brain cells, thus providing them energy. Vitamin B1 is also important for this process. Vitamin B2 then helps the cell metabolize this glucose and produce energy. It also produces mitochondrial oxygen, which is important for reducing the occurrence of migraines. Vitamin B6 is very important in the use of the neurotransmitters serotonin and noradrenaline. When there is a shortage of these neurotransmitters or a problem with their pathway migraines can occur. This product also contains L-theanine which is an amino acid involved in neurotransmitter synthesis. Two capsules should be taken daily but the manufacturer does not specify whether they should be taken at different times or together. They also do not specify whether the capsules should be taken with food or without. No specific side effects are mentioned with the use of this product but it is highly recommended that pregnant or breastfeeding women avoid the use of this product, especially considering it was designed to reduce premenstrual effects which should not occur during pregnancy. One package which contains 60 capsules can be bought online for $22.81. There is a discount for buying several packages at once. Two packages can be bought for $43.34, which is a saving of $2.28 and three packages for $63.87 which is a saving of $3.85. There is no guarantee offered on this product. There are also no customer reviews. 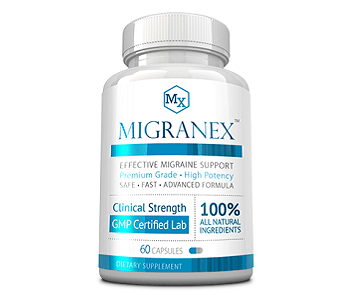 All of the ingredients in this product are scientifically supported in the role of reducing the occurrence of migraines. The price for this product is reasonable and long-term use of this product is made easier by the fact that a discount is offered for buying many supplies simultaneously. However, there are some doubts about the effectiveness of this product. The manufacturer does not offer a guarantee on this product which may suggest that they are not completely confident in its results. It also concerns us that there are no customer reviews for this product because that means It has not been independently evaluated.